Episode 6×03 “Next of Kin” — A rogue black ops team led by Onyx (guest star Chastity Dotson) breaks into Kord Industries and steals something lethal. Oliver (Stephen Amell) struggles to connect with William (guest star Jack Moore) so he reaches out to a surprising source for help. Kevin Tancharoen directed the episode written by Speed Weed & Oscar Balderrama. Air Date: Thursday, October 26 (9:00-10:00 p.m. ET) on the CW. 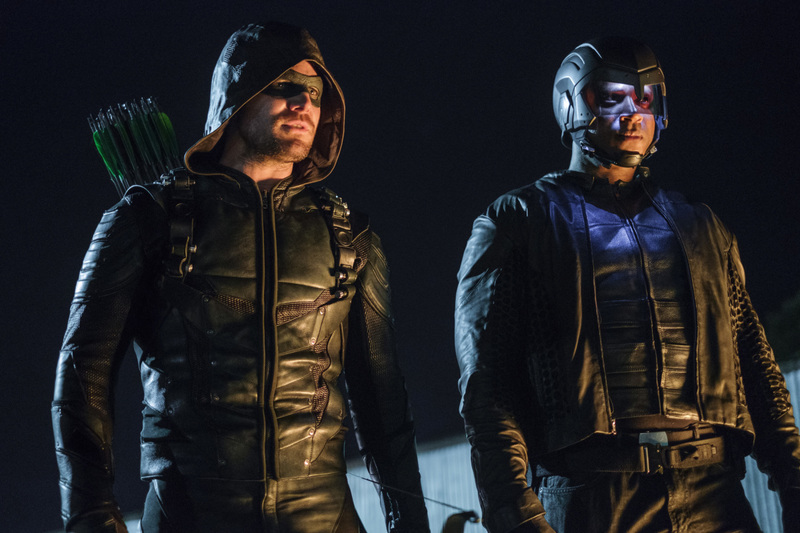 Arrow -- "Tribute" -- Image AR602b_0090b.jpg -- Pictured (L-R): Stephen Amell as Oliver Queen/The Green Arrow and David Ramsey as John Diggle/Spartan - Photo: Robert Falconer/The CW -- ÃÂ© 2017 The CW Network, LLC. All Rights Reserved.